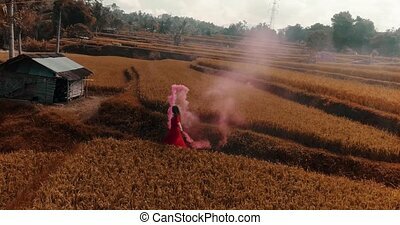 Beautiful woman with colored smoke in rice fields. 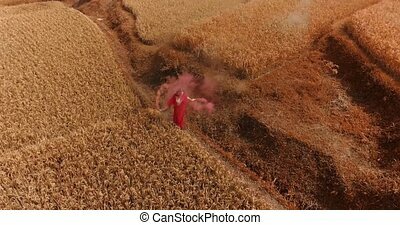 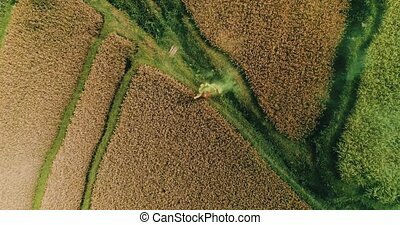 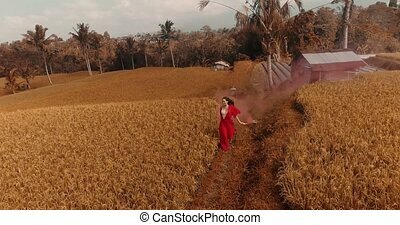 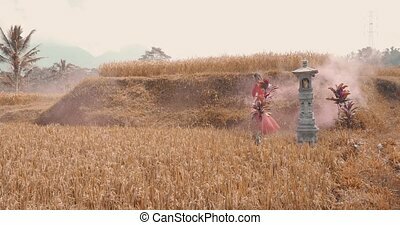 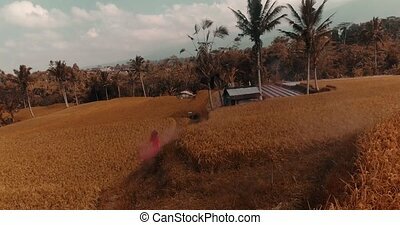 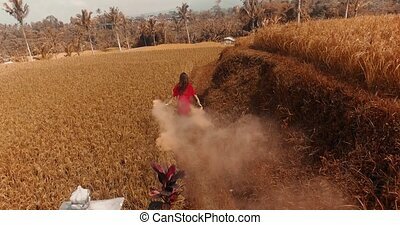 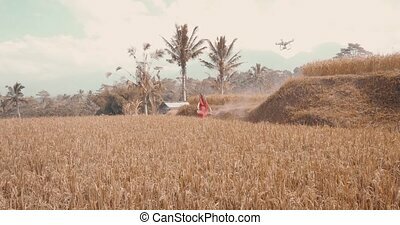 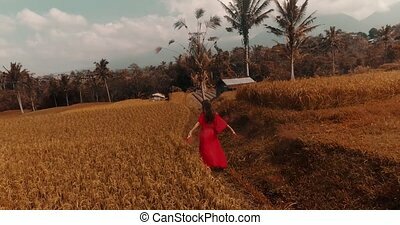 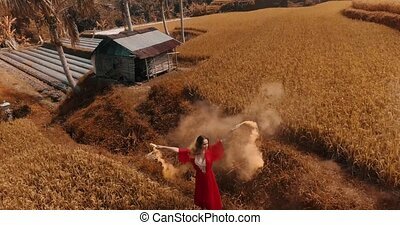 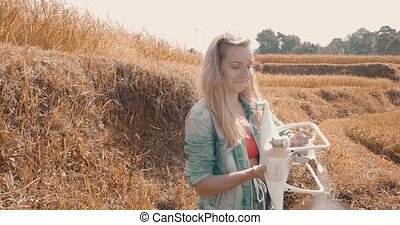 Aerial drone view of beautiful young woman in red transparent dress dancing with coloured smoke in rice field - colored video in slow motion. 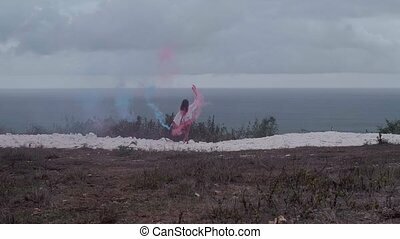 Beautiful vogue model with pink smoke posing on field in black dress. 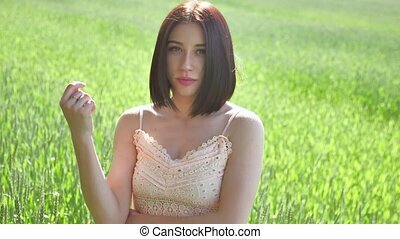 Beautiful woman in evening dress with wedding bouquet. 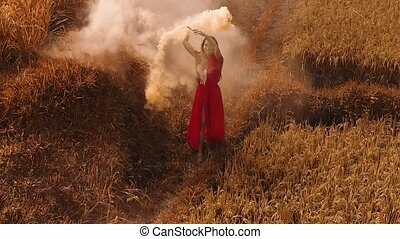 Young bride clothed in chiffon gray attire from smoke flying fabric runs herself fingers over satin ribbons. 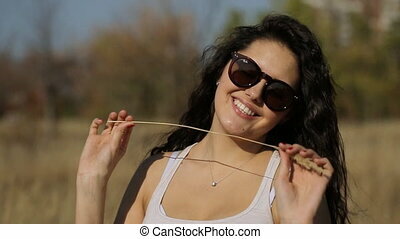 Flower ornament on belt only emphasizes wasp waist. 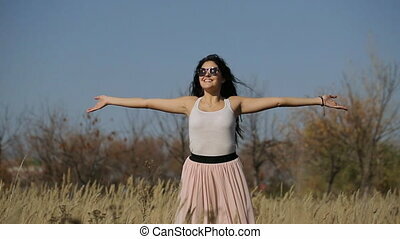 Translucent shoulder-straps of top part clothes are gracefully pointed by elegance and grace of all costume. 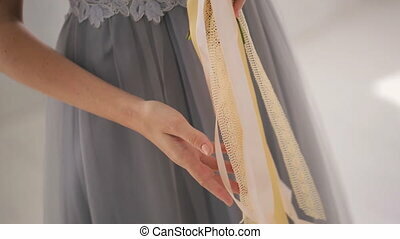 Delightful work of art consists of lemon flamingo and coral roses with greens tightened ivory and yellow satin ribbons. 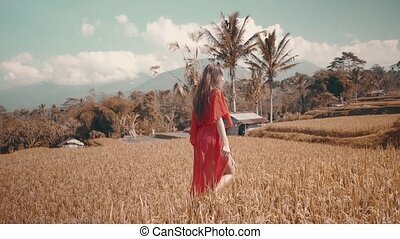 Very gentle sensual fragile and magic image. 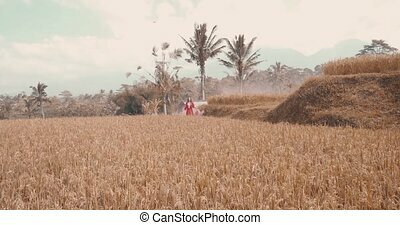 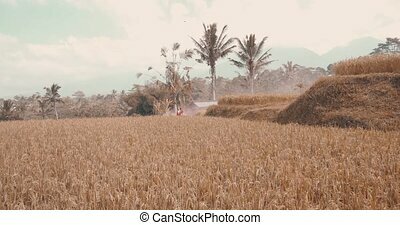 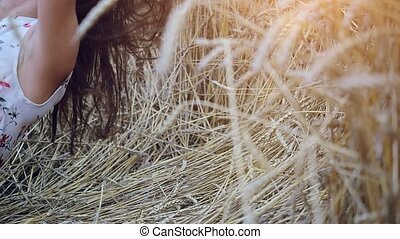 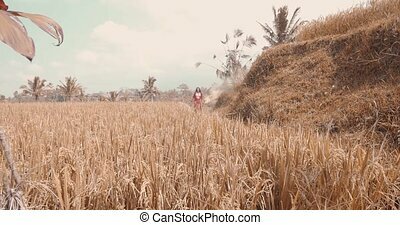 Beautiful young romantic woman with long hair lies on wheat Field in slowmotion. 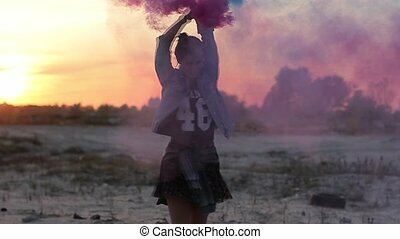 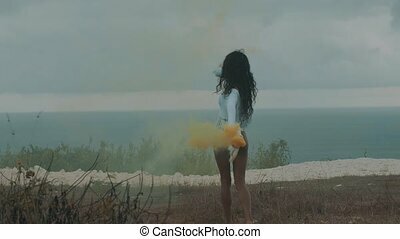 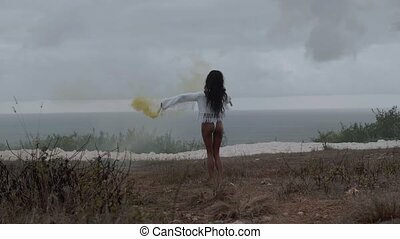 Girl spinning with smoke bombs in her hands. 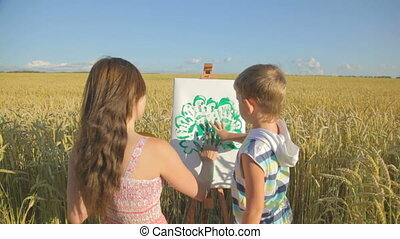 CLIP EDIT Beautiful woman with little boy standing in front of wheat field, painting with fingers in green color on white paper canvas, communicating, smiling, enjoying free time.